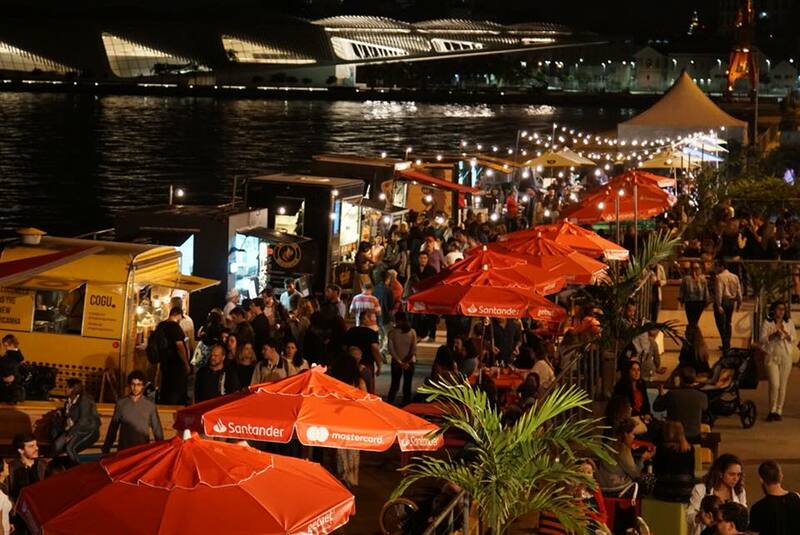 This year’s Rio Gastronomia is being held at Píer Mauá, in Rio’s revitalized ‘Porto Maravilha’ (Marvellous Port), overlooking the beautiful Guanabara Bay and the stunning architecture of the ‘Museu do Amanhã’ (Museum of Tomorrow). 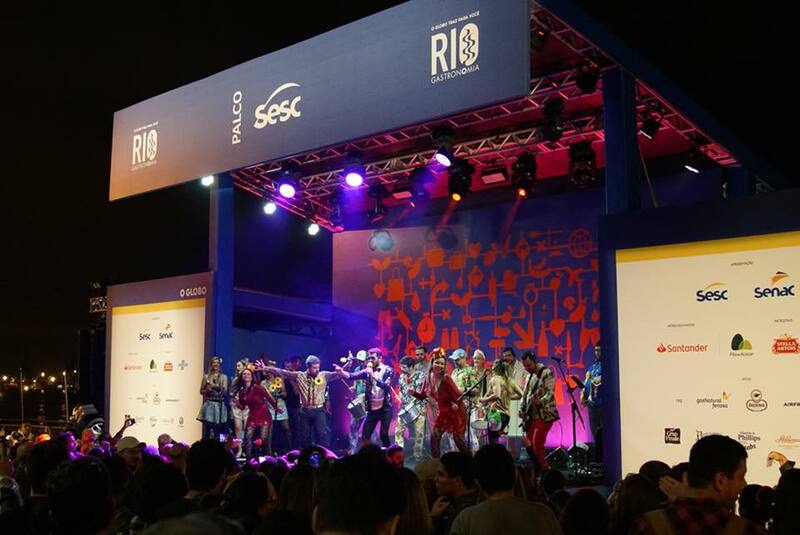 RIO DE JANEIRO, BRAZIL – Dubbed as ‘the biggest gastronomic event in the country,’ Rio Gastronomia returns to Píer Mauá in Centro this Thursday, August 23rd until Sunday, August 26th for four more days of food and festivities, following a successful turnout last weekend. There will be plenty on offer besides the scheduled presentations, workshops and classes, with a host of outdoor eating options including food trucks and food bikes from some of Rio’s premier eateries serving up Belgian, Mexican, Peruvian, Portuguese and Japanese cuisine, photo internet reproduction. This year the event is organized around the theme ‘Momentos À La Carte’ (Moments À La Carte) giving the public a chance to participate in various activities and interactive demonstrations with chefs, producers and the best restaurants from Rio de Janeiro and Brazil. Thursday, August 23rd has a packed program guaranteed to kick off the four-day event with a bang. At 5:30PM Silvana Bianchi will be talking with Sommelier Marlene Souza as part of the ‘Cozinha Mão na Massa’ (Cooking by Hand) series of events. At 7:30 PM there will be a special talk on ‘Gin Brasileiro’ (Brazilian Gin), with Luan Martins, and finally, at 9PM Indian chef Varunesh Tuli will give a presentation on ‘A Cozinha Indiana do Zeca Camargo’ (The Indian Cuisine of Zeca Camargo). Friday, August 24th brings with it plenty more to get excited about with Samantha Aquim from Chocolate Q presenting ‘Uma História Sobre Cacau e Chocolate do Brasil’ (A Story About Cocoa and Chocolate from Brazil) at 6PM. Also at 6PM comes a presentation on ‘Vinhos do Porto da Real Companhia Velha’ (Vintage Port from the Real Companhia Velha) given by Francisco Edcarlos and Rafael Moreira Romano, while happening concurrently will be a food photography class by Virna Santolla. Saturday and Sunday look to be even bigger, with Saturday, August 25th getting underway with a presentation at 1:30PM on ‘Como Preparar Café em Casa’ (How to Prepare Coffee at Home) with Priscila Soares. This will be followed by another wine presentation entitled, ‘Você Já Conhece o Seu VinoTipo?’ (Do You Already Know Your Wine Type?) given by Ari Barbosa. Saturday will see a great number of presentations on juices, beers, cocktails, sushi and much more, with the highlights perhaps being ‘Roteiro Gastronômico pelo Rio Antigo’ (Gastronomic Route Through Old Rio) with Gabriela Palma’ at 7:30 PM; and ‘Identidade Portuguesa’ (Portuguese Identity) with Tiago Bonito, which ends the days proceedings at 9PM. Finally on Sunday there is no let up to the activity, with 1:30 PM seeing a presentation on ‘em Busca de uma Alimentação Sustentável’ (In Search of Sustainable Food) with Paulo Damasceno and Karime Cader. There will be plenty of live music and entertainment to keep the crowd happy, including a performance by Elisa Addor, Yasmin Alves and Clarice Magalhães, known as the ‘Cantoras da Lapa’ (Lapa Singers), photo internet reproduction. 3PM sees a masterclass entitled ‘Cereja no Bolo’ (Cherry on the Cake) with Cake Designer Felipe Appia, of Nolita. At 4:30 PM, João Hermeto will talk about ‘Açaí da Floresta’ (Açaí of the Forest) and then the day will draw to a close with a variety of presentations and workshops, including ‘Cozinha sem Gordura e com Muito Sabor’ (Cooking Without Fat and Lots of Flavor) with Frédéric Monnier. Registration for classes, talks and tastings will take place on event days, one hour before the start of each activity. There is so much more to be experienced over the course of this event, including previous award-winning restaurants from the Rio Show Gastronomy Guide setting up pop-up eateries, including the world-famous Belmond Copacabana Palace. There will also be a cachaça fair bringing together artisan distilleries from throughout the State of Rio, including Cachaça Werneck, which was recently featured at the BCS Summer Party. And that isn’t everything, with musical acts performing throughout the coming days, including Zé Ricardo on Thursday, August 23rd, Daíra Saboya on both Friday, August 24th and Sunday, August 26th; and ‘Roda de Samba do Galocantô’ (Samba Circle of Galocantô) with Marcelle Motta on Saturday, August 25th. When: Thursday, August 23rd – Sunday, August 26th; opening times vary.